Make Pretty Paper Bracelets & Necklaces! 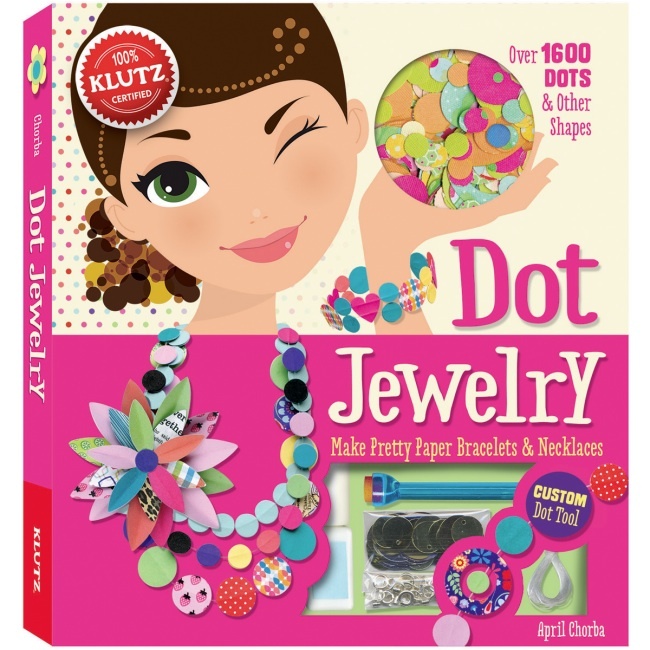 The Dot Jewelry Kit from Klutz is a jewelry making kit for kids to design & create their own jewelry at home! 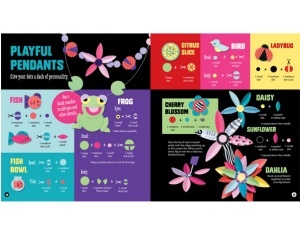 Kit includes a 56-page project book, more than 1600 pre-cut paper shapes, 45 feet of clear nylon cord, glue with brush applicator, sequins, dot tool with tack tip, 2 work surfaces, a sliding cord holder, and 14 dot-by-number templates. 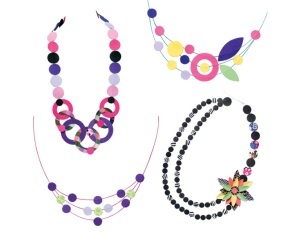 Project book includes ideas, inspiration, and step-by-step instructions for making pretty paper bracelets & necklaces using the materials provided in the kit. For ages 8 & up.